Luxurious or Sporty? The student's choice! 2018 Honda Clarity (Left) and 2012 Mazda Miata (right) are each equipped with automatic transmission and dual brake pedal. or contact via email to schedule. 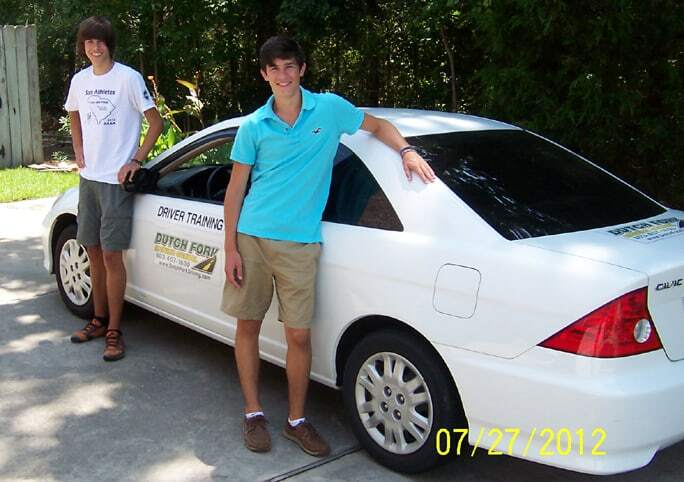 Dutch Fork Driving School offers driver instruction for teens and adults in the Irmo, Ballentine, Chapin and outlying areas. Certified to administer the actual road test in lieu of having a DMV examiner! The rate is $390 for the standard course. Driving has terrified me ever since I got my permit when I was 15. I had taken the driver training with another company and was not nearly as prepared for the road test as I was after I completed my third lesson with Mr. Zimmer. He made learning to drive easy and a lot less stressful for me. Michael was very complimentary of you and shared what you taught him with us. You were very patient, encouraging and thorough. I wish I knew about you for our daughter and hope you’re around in 9-10 years for our 6 year old. 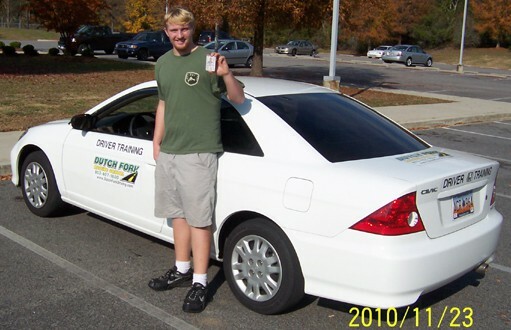 Andrew took his test on July 19th and passed the first time! You had him very prepared for the driving test. I’ve been telling all my friends to use your driving school. We’ll see you in two years when his sister turns 15! So I finally got my license. All that build up for the test, and it turned out to be one of the easiest things I’ve ever done. Thanks Mr. Zimmer! Communication was excellent with reminder emails and follow-up face to face feedback after each driving lesson. Joey was well prepared for the driving test and was pleased to pass on his first attempt. We are soooo PROUD of Miranda! Thank you so very much for giving her the confidence…you made my teaching so much easier.